Battery-powered autonomous vehicles launched in the French city of Lyon in September, as part of a trial to provide a sustainable ‘last-mile’ service in the city’s Confluence district. The shuttles, designed by French driverless car specialist Navya, started running on a 1.3 mile circular route serving five regular stops on the line. The shuttles travel at around 20km/h, following a route segregated from normal traffic and marked by pictograms on the ground. 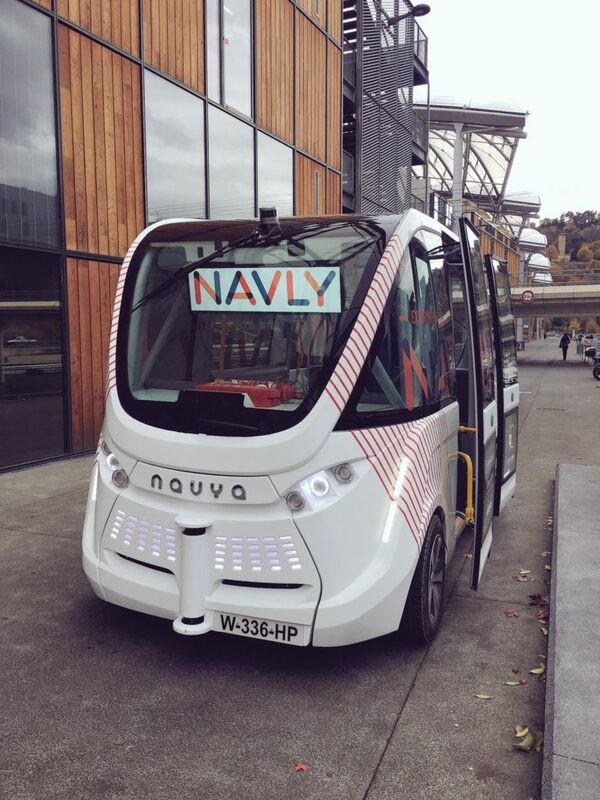 The driverless fleet is managed by Navly, a new company established jointly by Navya and transport operator Keolis. We popped over to Lyon in November to test out these new-fangled driverless shuttles – look out for a more in-depth article appearing on Transport Designed soon. What else happened in September? Enter your email address to subscribe to Transport Designed.